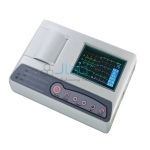 Jainco are engaged in providing ECG Machine is extremely popular among our customers for their superior performance, durability and easy operating system. It is essentially the method of recording the electrical activity of the heart over a period of time using electrodes placed on a patients body. In order to ensure quality, this machine is strictly tested on varied predefined parameters. 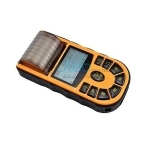 The offered machine is given with a micro controller based timer. 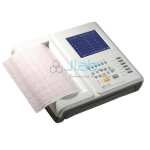 This ECG Machine has accurate pacemaker pulse recognition and automatic analysis function. 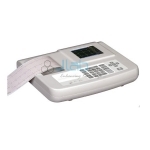 Jainco is renowned ECG Machines Suppliers, ECG Machines, ECG Machines Manufacturer, ECG Machines Exporter, ECG Machines in India, Digital Ecg Machine, ECG Machines Manufacturers in India. Input circuit: Floating. Calibrating Voltage :1mV. Single or three channel Interpretive ECG machine. Simultaneous 12 lead acquisition. 7" TFT, touch screen, led backlight. Digital isolation technology and signal processing solution, digital filter. Simultaneous acquisition of 12-lead ECG data, real-time recording and printing of 12-channel ECG waveform. 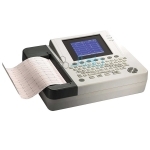 High-resolution thermal printing array system. Frequency response is as high as 150Hz.